Previous outfit posts: one, two, and three. 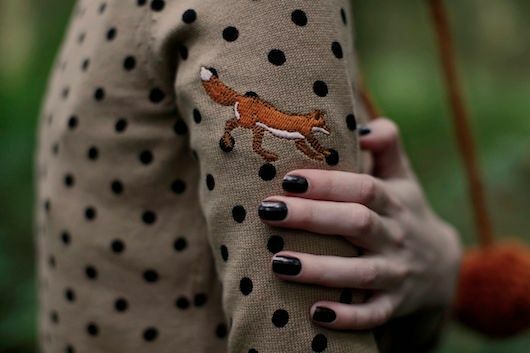 I'm a sucker for fox-y things, so this polka dot plus fox embroidery sweater was a no brainer. I think it's a piece I've worn off the blog more than on the blog, partly because I took it with me on my first visit to Northern Ireland and after having to wear it again and again from suitcase living it was retired to the back of my closet. Still, it's a great piece and I'll definitely be wearing it again in the fall once I've had a decent break from it.